Where are your real wooden toys made? They are made in wood shops, that specialize in handmade-natural-organic real wooden toys, in Germany and Czech Republic (which have higher toy standards than USA). We absolutely do not have anything Chinese made and do not do any business with China or anywhere else. What different types/kinds of wood are used to make the toys? Soft, semi-hard, and hard woods are all used. Our toys are made from various kinds of wood — popular, spruce, pine, alder, birch, maple, beech, and ash. 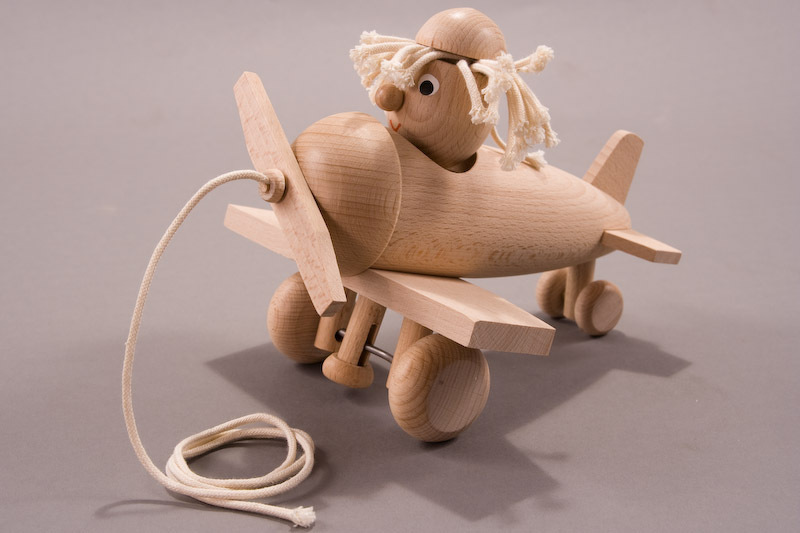 It’s not uncommon for a toy to be made out of many different kinds of wood. What ages are the toys best suited? On average, most of our toys go to children in the 1-7 year range. Although, we sell our Real Wooden Toys to planning and expecting families and to older kids, even up to 100 years! What are the best paints to use if we choose to color our toys? Keeping younger children in mind, we recommend non-toxic acrylic paints (water based). Acrylics go nicely on unfinished wood and are safe for kids, but should never be ingested (we do not recommend letting children chew on or place toys in their mouths). How safe are the toys for our dogs, cats, and other animals? Many times Real Wooden Toys are given to pets to play with. We are not able to comment as to how safe this practice is and leave it to your discretion. If you choose to let your pet(s) play with Real Wooden Toys, we absolutely recommend close supervision (we do not recommend letting animals chew on or place toys in their mouths). Can we hang/place the toys on our porch or in our garden? Of course! Most of our toys are naturally unfinished. Therefore, before you place them outside, we recommend painting or staining them, as they will withstand the elements much better. Do you send out a mail-order catalogs? No. We maintain everything on-line at our internet-based Wooden Toy Boutique and don’t publish anything beyond that at the current time.